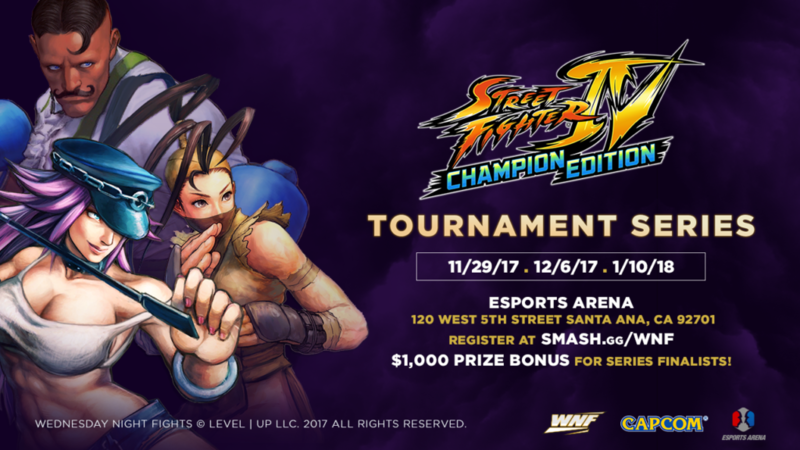 We’re excited to announce the Street Fighter IV Champion Edition Tournament Series at WNF! Our new monthly series will have a dedicated section of Street Fighter IV Champion Edition set ups including iOS devices, Game Vice Controllers, and a top 4 finals showcase on stream. Every month, players will compete for WNF ranking points for a chance at $1,000 in cash at the end of the tournament series. Action begins on November 29,2017 at 10PM PST and streamed on https://twitch.tv/leveluplive when top 4 finals are reached. Check out Street Fighter IV Champion Edition available on iOS at the Apple Store.